Edmonton bylaw officers are ready to clamp down on property owners if they find sidewalks covered with snow and ice. The City of Edmonton is prepared to clamp down on homeowners and business owners who leave snow and ice on sidewalks adjacent to their properties. City bylaw officers are free to give out tickets whenever they find snow or ice on a sidewalk. It's a switch from previous years, when the city gave property owners 48 hours after a snowfall ended to shovel. Karey Steil, a community relations adviser with the city, said Monday the goal is to make sure sidewalks are always safe. "A bylaw officer absolutely can give out a ticket immediately after a snow event," she said. "That is left in their discretion." That doesn't mean homeowners will get a ticket 10 minutes after it starts or stops snowing. "Our goal is not to write hundreds of tickets after a snow event," she said. "Our goal is for sidewalks to be cleared and to be safe." Steil said waiting 48 hours to clear sidewalks is not always reasonable, especially when there's packed ice underneath snow. "If the sidewalk is very, very icy, you know, we can't wait. It's about making sure the sidewalks are as safe as possible." Steil said the 48-hour time period was never part of the community standards bylaw, calling that guideline "old information." The bylaw simply reads: "A person shall maintain any sidewalk adjacent to land they own or occupy clear of all snow and ice." She said the city is in the process of updating its website to reflect the "new information," that "as soon as possible" is what is expected. 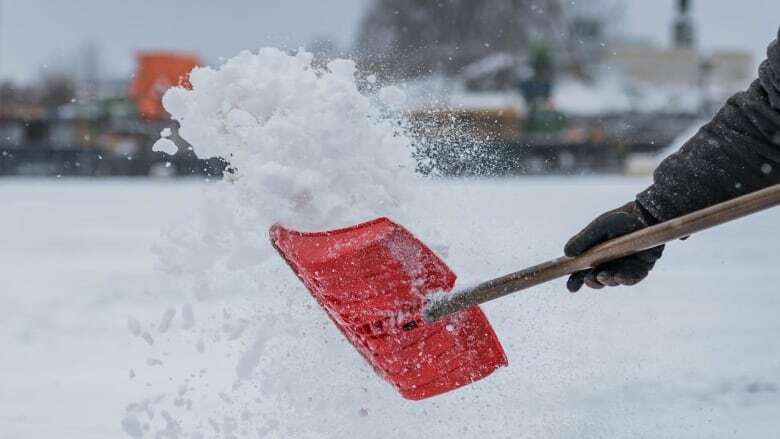 The city's own snow removal policy is to clear the streets within 48 hours of the end of a snowfall. Last winter, the city responded to 10,600 complaints about sidewalks, she said. The fine for violating the snow and ice bylaw is $100. Property owners can also be charged the cost of cleanup if the city deems it necessary to hire a contractor to do the work. For residents with mobility issues, Steil said it's still up to them to find a way to keep their sidewalks clear. "We ask that they ask their neighbours, their family — there are seniors associations that do offer a lot of assistance," she said. From the beginning of October 2017 to the end of March 2018, the city issued nearly 2,300 tickets.